Viscount Tidworth is anything but grateful for being rescued after a tumble from his horse. His pretty savior may be well-meaning, but forcing him to delay his journey completely wrecks his engagement plans. And Tidworth cannot let that stand. But when he discovers Emma's true identity, he must choose between his desire for revenge...and his baffling attraction to her. Even though this is listed as Wayward in Essex number 3, you do not need to have read the prior novels in order to understand and enjoy this one. This story is a completely stand alone novel with new characters, an a new story. As with the other novels from this author, I could not put this one down! I loved these characters - the dislike between Emma and Tidworth was entertaining at every turn. 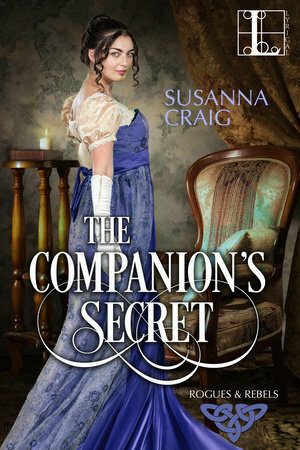 One of my favorite kind of romance novels are the ones considered "slow burn", where the characters don't fall immediately in love, and in that Vanquishing the Viscount did not disappoint! There were times I wondered if Emma would ever find her happily ever after with her Viscount or not the way they so often butted heads. One thing I will caution readers about with this is the fact that while Emma does come from a noble family, her family fell on times so hard that she took the position of a governess. Now, I know for most, this fact will be easily overlooked by most readers, but I also know there are some who are proponents of historical stories holding true to the details of the time - and I feel these readers may find her match to the Viscount to be a bit unbelievable. However, I did not find this to take away anything from the overall story. I believe this story will appeal to those who enjoy a well written historical novel with interesting characters. I can't wait to read more from this author!